The John Deere 700K SmartGrade™ crawler dozer is improving jobsite accuracy and quality of work through its complete integration of the Topcon 3D-MC2 Grade Control System. 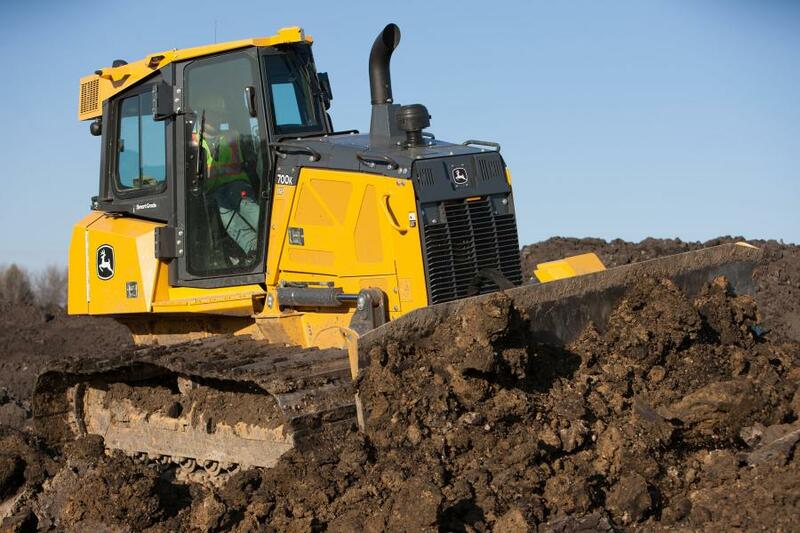 The John Deere 700K SmartGrade™ crawler dozer is improving jobsite accuracy and quality of work through its complete integration of the Topcon 3D-MC2 Grade Control System, according to the company. The system is fully integrated into the machine cabin, structures, and software – delivering precise grading performance while eliminating vulnerable external masts and cables. The SmartGrade technology enables operators to be more productive on the jobsite. Because SmartGrade is integrated into the 130 hp 700K, it removes the need to install equipment daily, reducing setup time. Eliminating external cables to the masts reduces breakage, and the removal of the masts from the blade eliminates vulnerability to damage and theft.